As you can imagine, the days and weeks leading up to Passover are a busy time at Glory of Zion. This year, the added excitement and activity at the Global Spheres Center in Corinth have added a whole new dimension to our preparations. 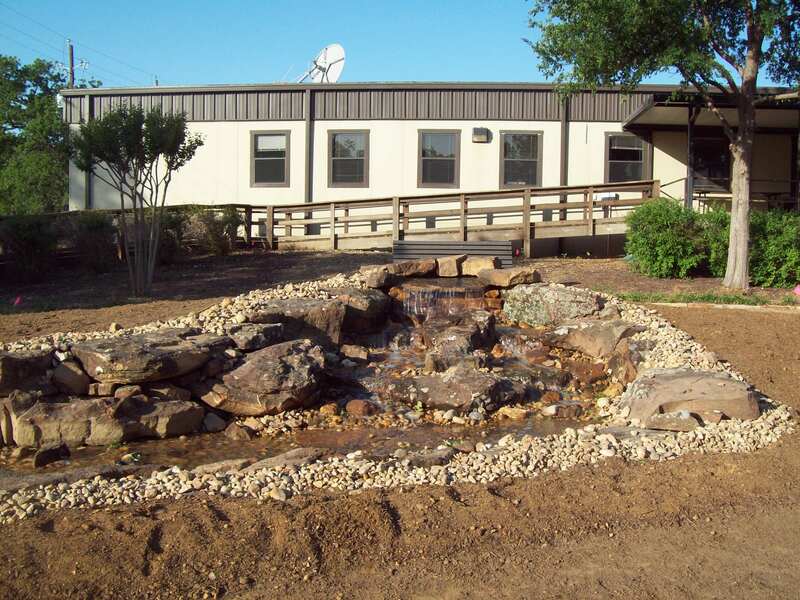 In the Twelve Tribes Garden, we have maneuvered through some interesting weather patterns lately, including rain, hail, high winds, and the variety of temperatures typical of north Texas springtime. This morning, I went to the garden to see the finished water feature. The first thing I noticed was the sound: the water actually sounds musical as it cascades gently over the rocks and into the stream bed. How appropriate that the center of Judah has musical accompaniment provided by the balanced combination of water and stone. I can’t wait for you all to see it! Just so you can appreciate the process, I have provided a series of photographs taken over the last week. I took a moment this evening to wander through my own back yard and enjoy the sights, smells and sounds of spring. I was tempted to work, because I have neglected my own yard and gardens while overseeing the Twelve Tribes Garden in Corinth. When I chose to lean the rake back against the wall and enter Shabbat with thanksgiving, I was greeted with the nest you see here. 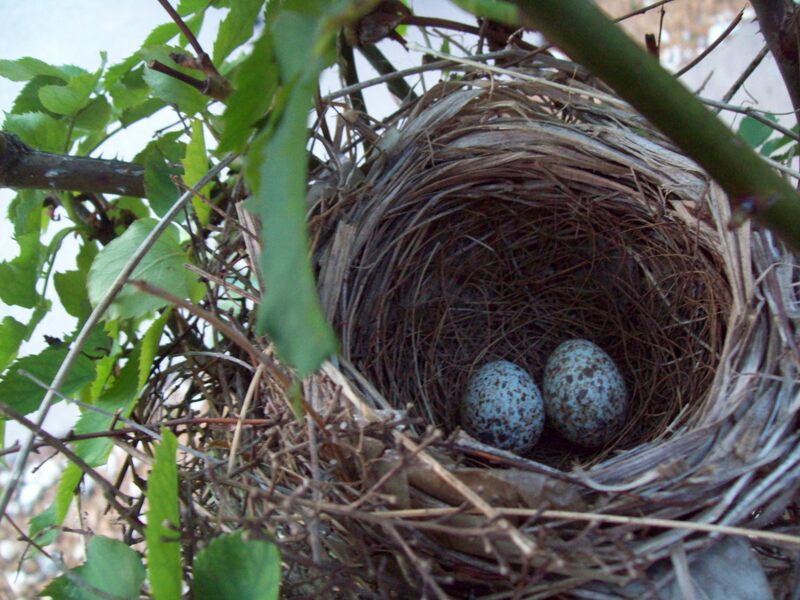 In the climbing rose bush next to my garden gate, a pair of mockingbirds have constructed their nest. Now I know who has been singing so exuberantly outside my window every morning for the past week! Praise breaks forth from creation, and we are privileged to join in the song!